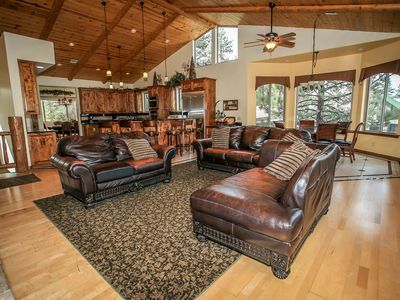 Log Home Masterpiece #1649 is a lakeside luxury retreat that has been custom built from the ground up and is exactly what you're looking for in your next vacation! 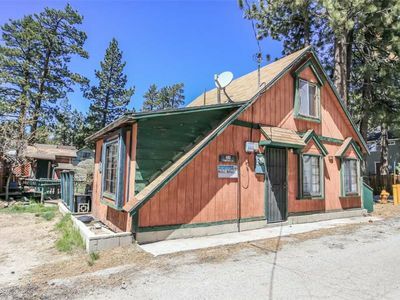 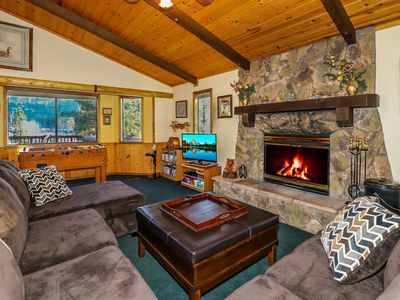 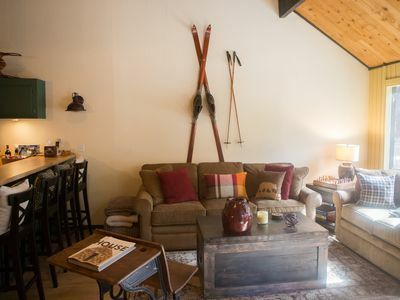 This fully furnished log home offers the essentials and then some, providing it's guests with the comforts of home combined with extreme relaxation & serenity, plus is located in a prime location, this property is within the "Lagunita Point" area, a popular spot for summer and lake activities, yet is still within a minutes drive to town or shopping. 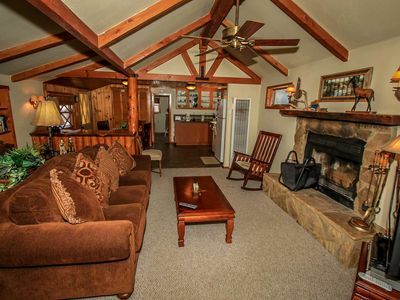 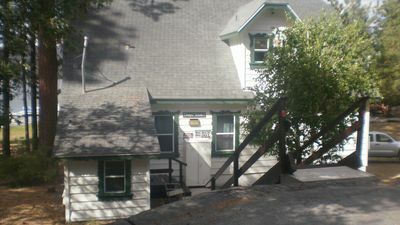 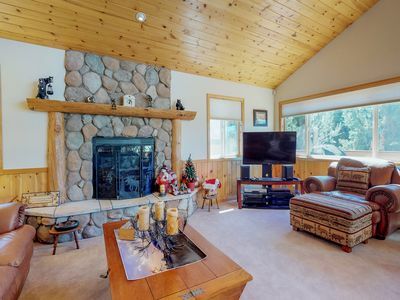 Entering the cabin on the lower first level, you will find the first three bedrooms, plus the fun packed game room with pool table and wet bar, couches and comfy seating, plus a fireplace, TV/DVD player, and access to the lake view deck with BBQ also available. 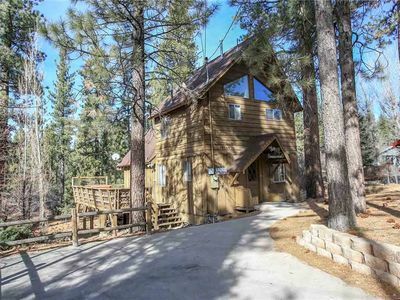 Venturing up the stairs you will find an open floor plan with hardwood floors, vaulted knotty pine ceilings, additional second level lake view deck. 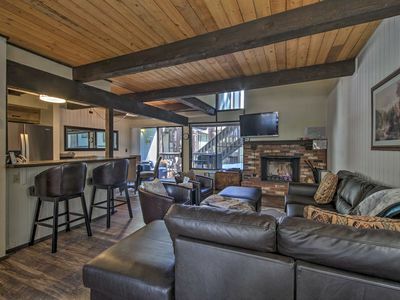 comfy and relaxed living room area, plus a fully equipped custom kitchen and dining area for meals. 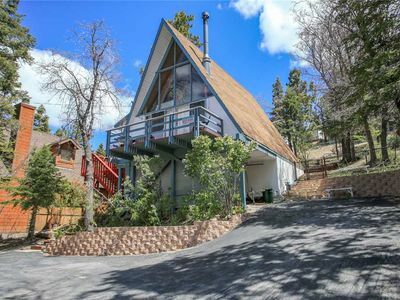 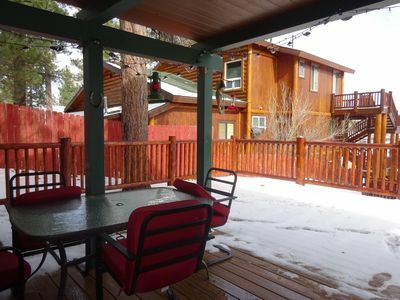 This property boasts a great deck with tree top and lake views, a jetted spa tub in the master bathroom, plus laundry facilities and free WiFi are available. 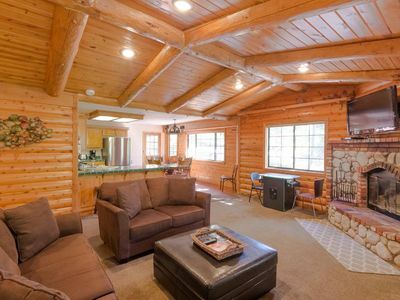 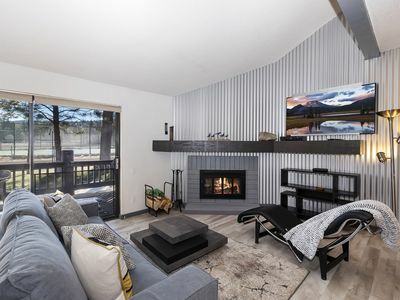 Living up to it's name, this Log Home truly is a Masterpiece that provides it's guests with the essentials needed for the ultimate Big Bear vacation in the mountains! 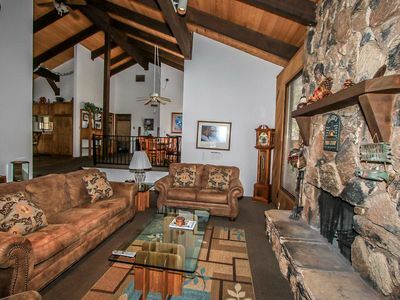 Always Beary Christmas - Walk to Ski Resort! 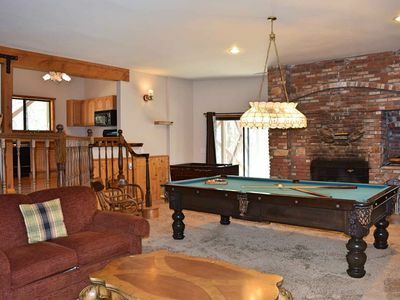 WiFi, Foosball Table and Hot Tub! 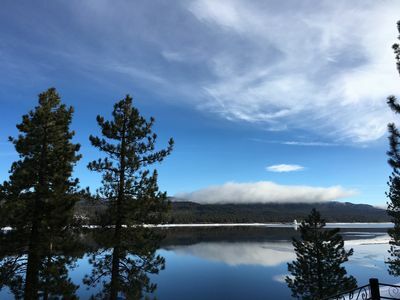 Serenity - Walk to The Village and Big Bear Lake! 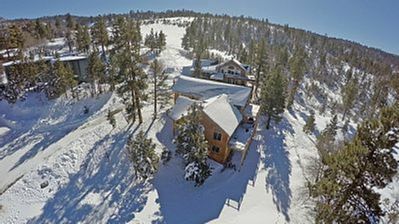 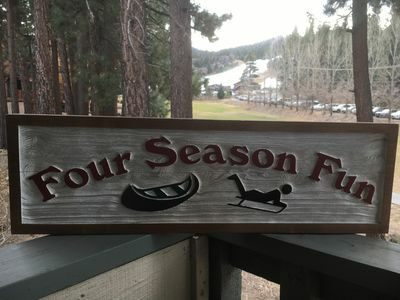 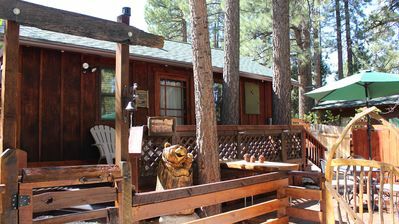 Four Season Fun- Big Bear Ski and Lake Vacation- Ski, Swim, Paddle, Sled, Bike. 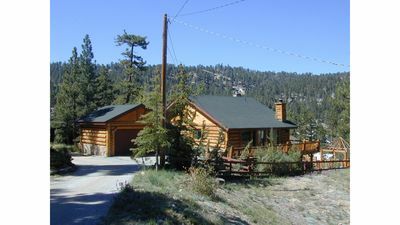 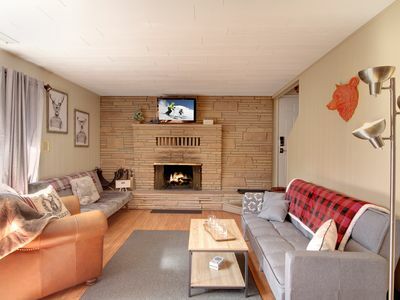 The Spruce Moose - Fox Farm Cabin with WiFi, Hot Tub and Close to Slopes!